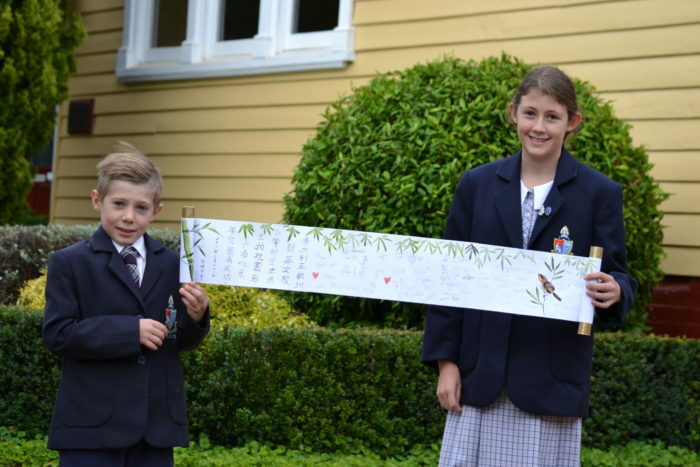 To give NEGS Round Square Team a fantastic send off, Mandarin Classes K to 8 have been secretly working on making Friendship Scrolls in the past two weeks. 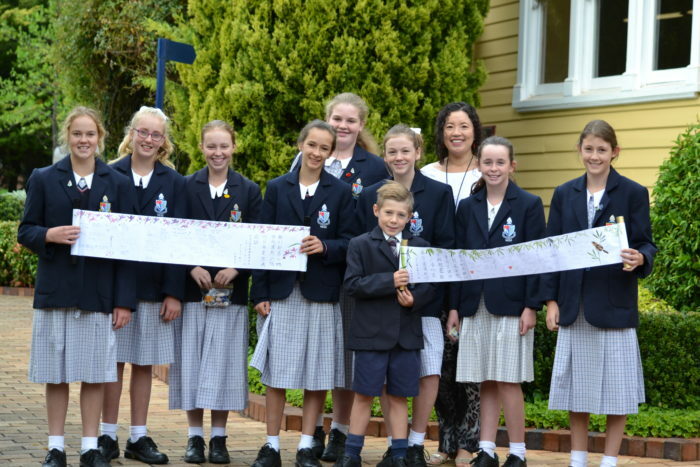 These beautifully handmade gifts were written and signed by students in Mandarin and English, with hand-painted Chinese water colour boarders, kindly illustrations by Trish Shaw of Bundarra. 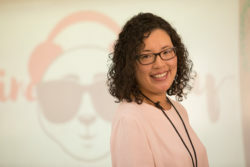 They were finally revealed and presented to the Round Square Team on Thursday 22 April. 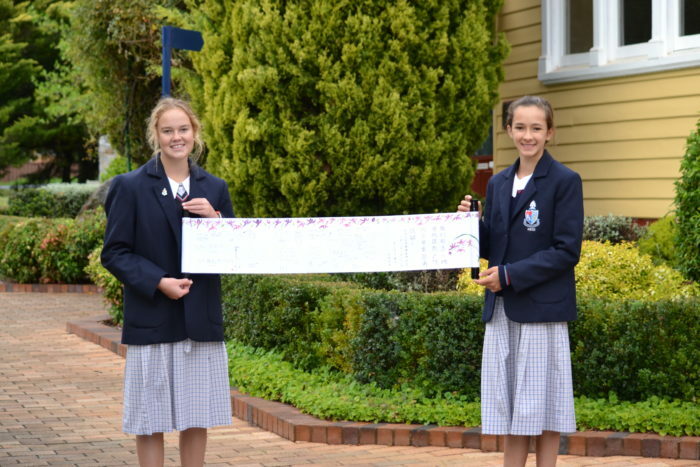 Sophia Croft and Bailey Harvey-Lynn presented the bamboo bordered golden sparrow friendship scroll on behalf of the Junior School; while Brielle Ball and Constanza Dugdale gave the stunning friendship orchards scroll on behalf of the Senior School. 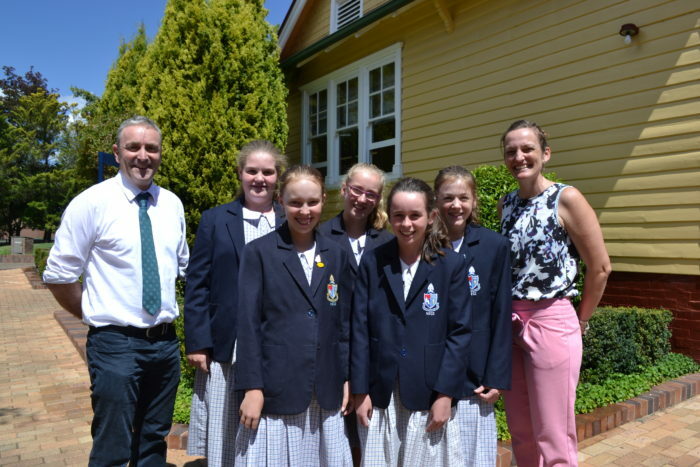 Round Square team members are: Sophie Mason, Lydia Farrar, Tenneal Mason, Caitlin Croft and Kirrily Wickham. They are embarking on an exciting journey to visit Cambodia and Beijing from 23rd March till 2nd April, led by Miss Cambridge and Mr. Flynn. The friendship scrolls will be given to the Round Square Beijing Conference organisers as a gift from NEGS on behalf of all staff and students, wishing them good luck for the conference to be a roaring success. Clip-on soft toy Koalas were also given to each members to be given away at the conclusion of the conference. They were very well received with all smiles as far as our eyes could see. We wish them all the best on their bold journey to be one step closer to becoming the future leaders of the world.